NPR more than doubled its revenue from podcasts in the past year, with similar growth projected for 2016. “We’ll probably more than double this year, and, the year before, it tripled year-over-year, so we’ve been seeing really great growth over the past three or four years in podcasting,” said Bryan Moffett, general manager of National Public Media, the corporate underwriting division for NPR. National Public Media’s President and CEO Gina Garrubbo also told Adweek about the media group’s approach for podcast advertising. She emphasized the importance of mixing up ad placement and maintaining the personal connection listeners have to their shows. “We’ve found that three-quarters of our listeners report feeling warmth and they have a more positive opinion of brands that support NPR and three-quarters of them take action in response to sponsor messages,” Garrubbo said. NPR’s podcast lineage has been performing well in building audience. 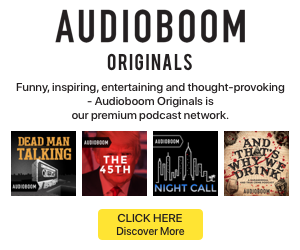 According to the recently released Podtrac industry rankings, NPR is the top publisher, followed by This American Life and Serial in a second-place tie, and WNYC Studios in third. Richard, while not that many people have a botnet of their own it is not (from what I understand) that difficult or expensive to hire parts of a botnet for a short while.Admittedly, I thin you’re right that a TOR-alike would be more widely deployed than the use of (parts of) botnet(s) to prime web caches.